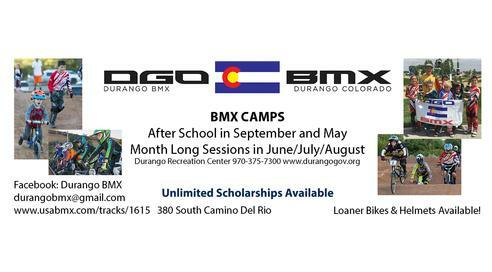 Help Shape Durango 9-R's Future! Durango School District 9-R invites you to share your feedback as a leader and member of the Durango business community as we discuss our long range planning needs. The following is a non-emergency message from Durango School District 9-R to all parents and students on morning Bus Route AV2 and afternoon Bus Routes AV2 and AV3. La Plata County road and bridge crews have cleared all debris from the mudslides that occurred in the 2700 block of County Road 250. The road has reopened and morning Bus Route AV2 and afternoon Bus Routes AV2 and AV3 will resume their normal schedule, pick-up and drop-offs starting Friday, April 19th. If you have any questions please contact the Transportation Department at 970-247-5335. Thank you. Durango 9-R’s elementary schools have always understood the value of learning through play, especially for our early learners in preschool and kindergarten. Building off the successful early childhood program in the district, students and families will now have an opportunity to immerse into early childhood education through forest education. Durango School District 9-R invites responses to our request for farm-to-school beef bids. 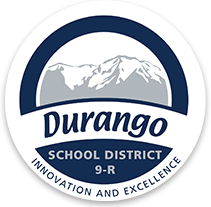 The mission of Durango School District 9-R, an innovative educational system committed to excellence, is to ensure each student develops the skills and attributes for lifelong learning. Through leading instructional models, globally minded learning programs and engaging teaching and learning methods, the district aims to instill in each student the ability to compete and contribute in the global community. Furthermore, the district encourages supportive and safe school environments, guaranteeing equitable educational opportunities for each and every student.